Blue highlighted lots are the best places to park when attending an event for the fine arts, at Atwood Memorial Center or at Ritsche Auditorium. Directions: From Minnesota Highway 23 (Division Street), turn south on Fifth Avenue and turn east onto 6th Street before the Miller Learning Resources Center. 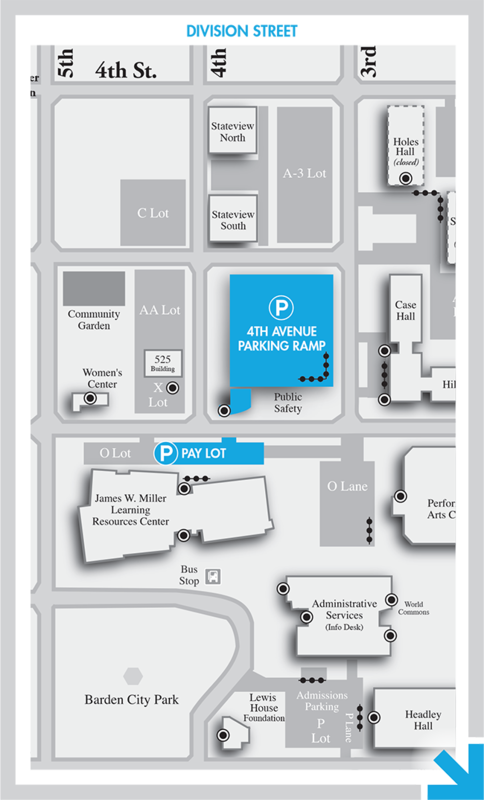 Best spot to park is the 4th Ave Parking Ramp on the left or pay lot on right.